Creations for Eleanor: It's the Most Wonderful Time of the Year - in June! What are you up to these days? Sitting at the pool, preparing for a great summer trip, heading to a cookout or barbecue? What are you not thinking about? Christmas PJs, I'm sure! It is, however, time to preorder your Christmas PJs! As in past years, we will NOT have extra inventory in the fall. The only way to guarantee you and your family gets a pair is to order now. All PJs will ship out in October, early November at the latest. 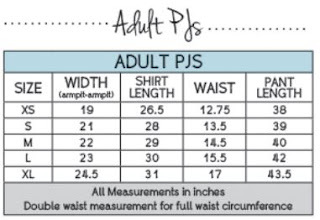 There are so many great options and I can promise you these will be the softest PJs you ever wear. Make sure you read all the way to the end for a chance to save on your purchase! These fabulous PJs are made from 100% organic cotton and are to die for. Children's are meant to be snug fitting, adults are more relaxed. Adults can be ordered as separates, which means if you need a small top and XS pants we can do it! Pricing is as follows and includes name or monogram. PJ orders must be received and paid for by Sunday June 26th at midnight. Email your order to us at info@creationsforeleanor.com. We will send you a PayPal invoice. Please make sure to include the colors (plaid, stripe, polka dot) sizes and also the name or monogram and font. Feel free to contact us with any and all questions. Want to save on your PJ purchase or on your first order in the shop? Sign up to receive our newsletter and receive a special coupon. Don't worry, we won't clog your inbox. Click here to start saving today!